Self-defense begins with understanding the need to know how to defend yourself and the mentality needed to do so. 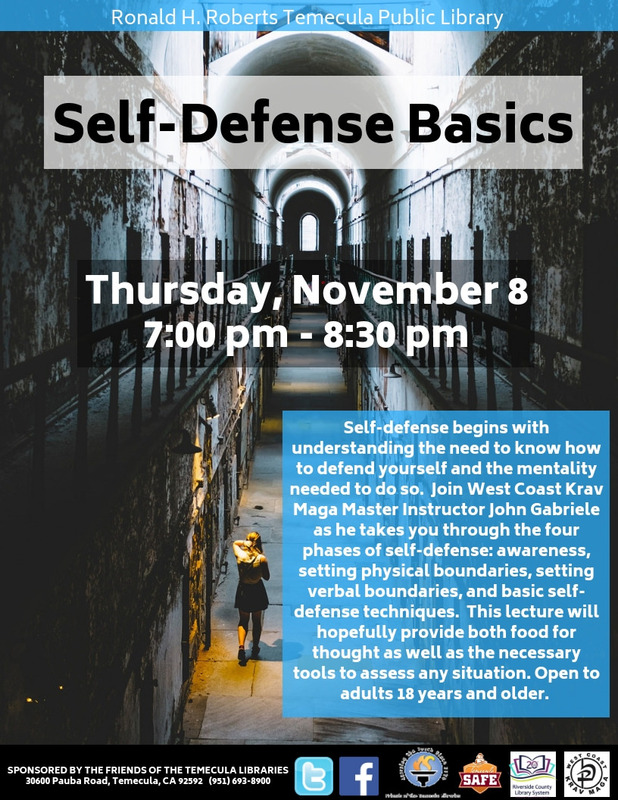 Join West Coast Krav Maga Master Instructor John Gabriele as he takes you through the four phases of self-defense: awareness, setting physical boundaries, setting verbal boundaries, and basic self-defense techniques. This lecture will hopefully provide both food for thought as well as the necessary tools to assess any situation. Open to adults 18 years and older.